The Port of Dover has consistently been awarded the Park Mark Award since the scheme's inception in 2003. The Park Mark Safer Parking Scheme is an initiative of the Associations of Chief Police Officers (ACPO), aimed at reducing crime and the fear of crime in parking areas and is awarded by the British Parking Association. Driven by massive investment, Dover is one of the most modern and progressive cruise ports in the country, with highly trained personnel and award-winning customer service. With 1,120 car parking spaces situated next to the Cruise Terminals, customers can easily find a short or long-stay space to suit every need. Barbara Buczek, General Manager of Business Development said: "We are proud to be awarded an eleventh accolade for our car parks. It proves that we have consistently achieved the highest standard necessary for a Park Mark Award and it is good news for our customers and community who can enjoy peace of mind when they visit us at the Best Port in the World." 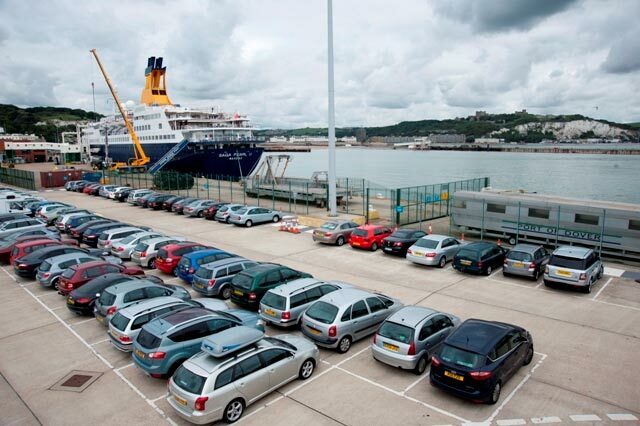 Mike Bibby, Park Mark Scheme Area Manager said: "I am delighted that the Port of Dover is in the Safer Parking Scheme. The Port has been accredited for eleven years now and their commitment to achieving high standards shows they care about their customers."